Nearly two years ago, The Mrs and I embarked on an adventure to Chicago. We each had work opportunities too good to pass up, so we left the Twin Cities for Chicago and all the challenges that living in one of the world’s largest cities would bring. In short, it’s been fantastic. Our professional experiences have been terrific and we’re both thriving in our new digs. 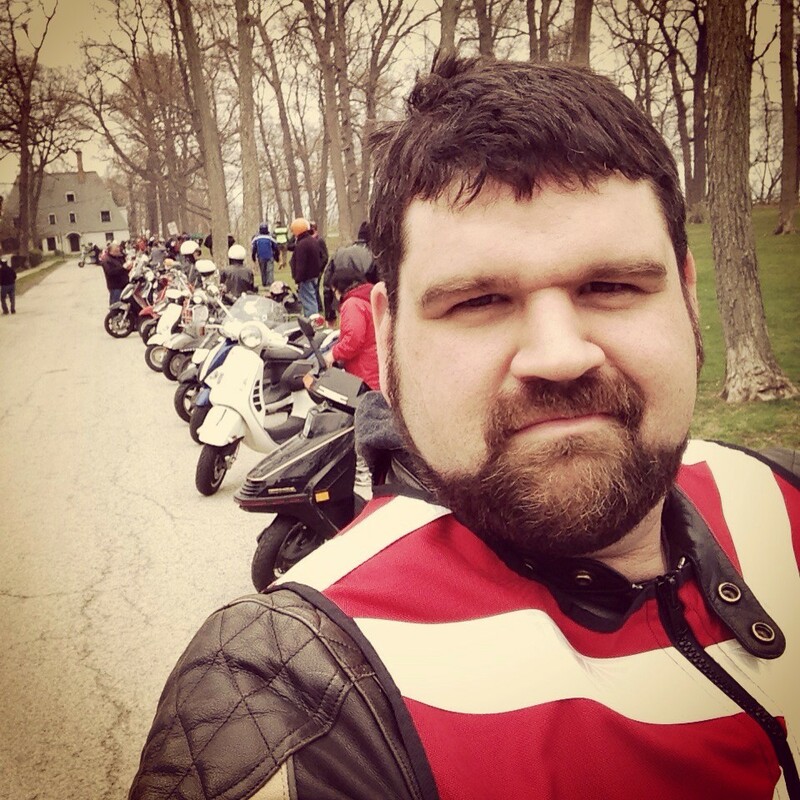 Beyond our working life, the move to Chicago meant getting to know an entirely new motorcycle and scooter community. It’s also meant big changes in my fleet of bikes and significant adjustments to when, how, and what I like to ride. Chicago is a challenging place to live from a number of different angles. It’s crowded, it’s expensive, and it’s especially challenging to move around the city — even on two wheels. The sheer density of streets, intersections, cars, pedestrians and public transit make Chicago a completely different animal for riding a scooter or motorcycle than the Twin Cities I’d gotten so used to. 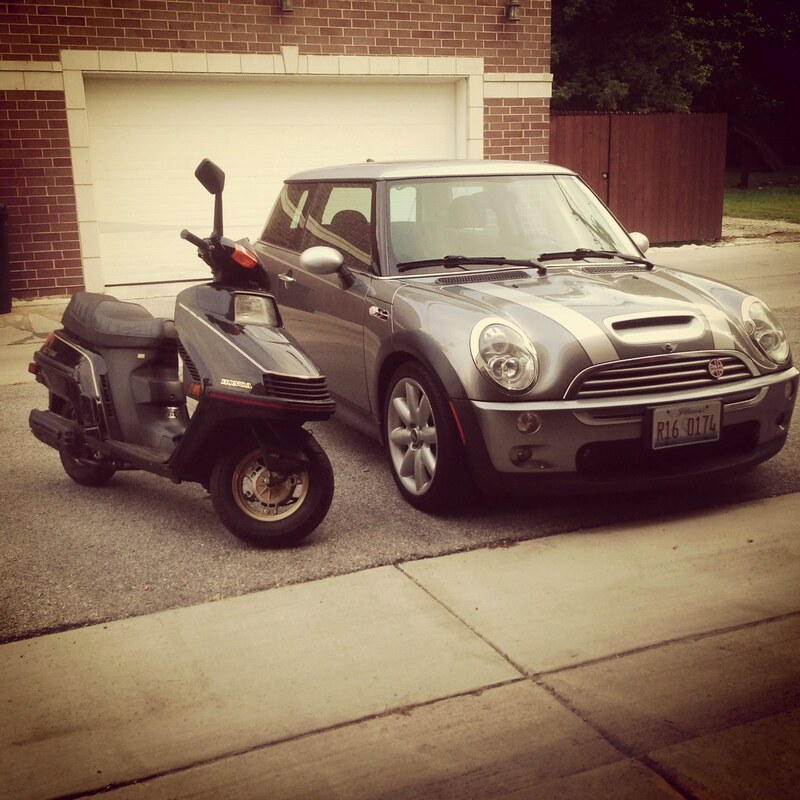 Last year, along with the founding of ScooterFile, Chicago helped reinvigorate my appreciation for small motorcycles and scooters. I acquired a 1986 Honda Elite 250, a scooter that’d been on my fleet list for quite some time. The draw toward smaller bikes like scooters becomes obvious in Chicago pretty quickly. There just aren’t many good motorcycle roads — not really anywhere to stretch a bike out. There is one road up North of town, Sheridan Rd, that follows the Eastern shore of Lake Michigan. It’s both scenic and winding, but most of Sheridan has a speed limit of 25-30 mph. This means it’s only any fun on something small. When we still lived in Evanston, my go-to route was a two hour loop up Sheridan Rd to the Ft. Sheridan Metra station outside Libertyville, IL and back. On the Elite or my 1974 Honda CB450, this road is a gem. Yet as my second season of riding in Chicago began, familiarity with Sheridan Rd had bred its share of contempt. The alternative is Lake Shore Drive. With a posted speed limit of 40 mph and a traffic speed of 60-70 mph, LSD is the one piece of road in urban Chicago that’s uninterrupted. Outside of rush hour, running up and down LSD can help me love this city. The views of the sky line and the lake are fantastic. Sadly though, it’s still a pretty small stretch of road. It wasn’t until this year that I finally found some decent motorcycle roads around Chicago. Not in Chicago, mind you. Just Chicago-adjacent. In particular, HWY 71 by Starved Rock State Park. It’s a good 20-30 miles of open country road, and just as you get near the park, there’s a 3-4 mile stretch of really fun corners, big elevation changes and terrific riverbank scenery. Best part, the speed limit is 55 through it all. I’m really not that much of a speed demon, so pushing down that road at around 60 mph is all the thrill I’m ever really looking for. The downside? It takes a good 45-60 minutes to get out of Chicago and onto that road — or for that matter any of the other decent, rural riding roads to be had around Chicago. You’re either shooting up into Wisconsin, West into rural Illinois, or Southeast into NW Indiana. Though I’m grateful to have found these roads, it doesn’t change the fact that riding in Chicago proper is mostly terrible. Not just for the crush of people and vehicles, but simply because with the exception of Lake Shore Drive, there’s just nowhere to ride without interruption. This continues to be a challenging part of living in Chicago, and while I’ve adjusted to it, the lack of good urban riding makes me miss Minneapolis and St. Paul. Cruising The Grand Rounds on two wheels remains the best urban riding I’ve yet to encounter, with the exception of an evening run up Sunset Boulevard between Santa Monica and Hollywood. The challenge in 2012 was in getting our bikes from the Twin Cities over to Chicago and then figuring out what to do with them. 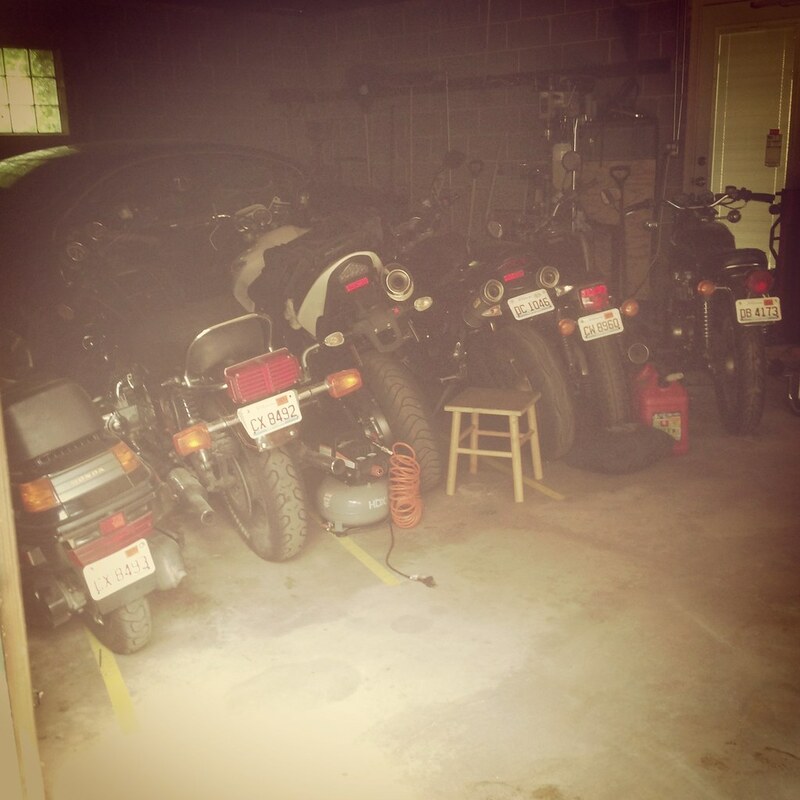 When we moved, we had a small flock of old Hondas. 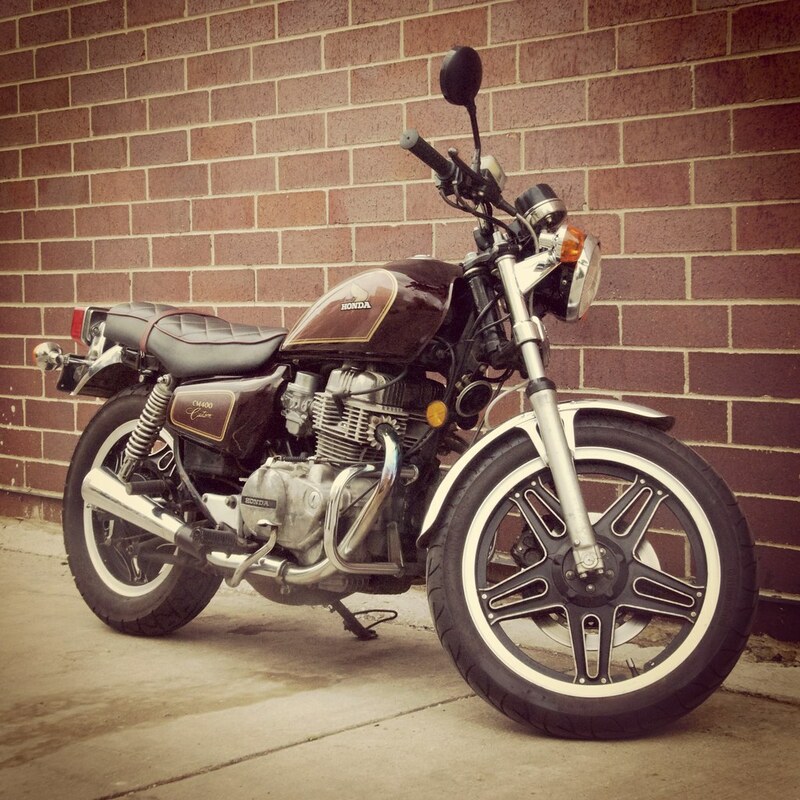 As soon as the weather warmed up, the CB750 was sold and replaced that very same day with a 1986 Honda Elite 250 scooter. Once July came around, Ryan and Robb deliverd the CB450 they’d surprised me with at the AHRMA races at Road America. Even with a bike sold, the fleet had still grown. Four bikes had me feeling a little bit of stress in terms of all the care and feeding needed to keep our small swarm of vintage Hondas going and healthy. That in addition to my ongoing project of customizing the GL1100 into something special. Yet as though that weren’t enough, I also acquired a 1980 BMW R 100 in a trade deal I simply couldn’t pass up. By springtime of 2013, our fleet was up to five. 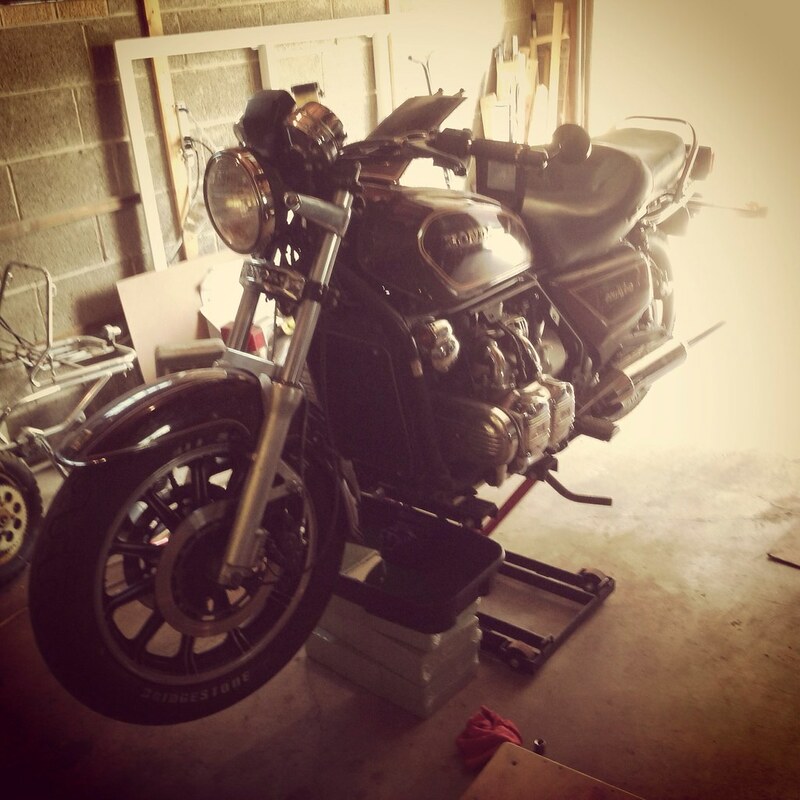 Thankfully for my garage space, my BMW R 100 was in safe keeping back in St. Paul at Blue Cat Motorcycle. That bike will have to wait its turn. In particular, until I’m done with the GL and it finds a new home. Yet here’s where things took a turn for the modern. In February, The Mrs confided that while she had a great affection for her CM400, she was less than thrilled with that bike’s tendency to break down on her when she rode it. While a slightly unfair indictment of the CM400, I could definitely appreciate her frustration. While I’d put several thousand trouble-free miles on it, that bike had a bad habit of giving us trouble when The Mrs was aboard. While she didn’t want to be rid of the CM400, its seemingly unreliable nature had her thinking toward something modern. I’d had these same thoughts myself from time to time. Thinking back to Season Four especially when I owned three different vintage Honda motorcycles, and try though I might, couldn’t get any of them to run until the season was over. So the question was, what did she want? 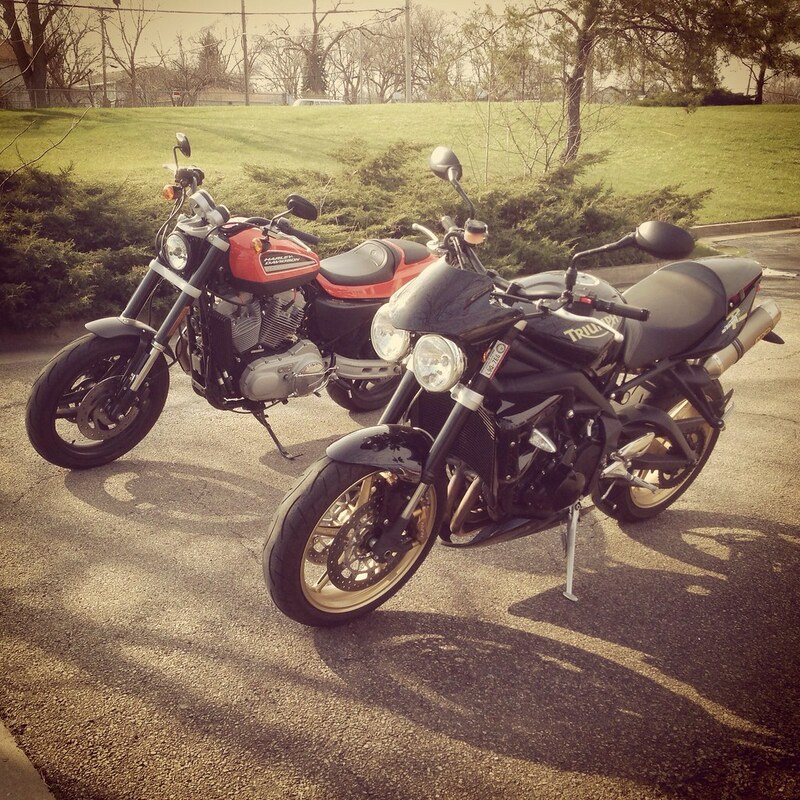 We spent late winter going from bike shop to bike shop before she landed on a gently used 2010 Triumph Street Triple R. At 675cc, the Street Triple R was perfectly ergonomic for her, workable for me, but best of all, a modern bike that we knew we could count on. I’d ridden this very model of the Street Triple R back in 2010 at a Triumph test ride event and found it exceptionally easy to ride, as well as “I’m sorry officer” fun on two wheels. The Street Triple R came home with us at just the right time for introducing a modern bike to our fleet. I was fighting the CB450 through its first 1,000 mile service and Adeline was proving to be rather troublesome. It was immensely satisfying to wrestle with the CB450 or the GL1100 with some maintenance task, then simply leave it, hop on the Triumph and go zipping around the neighborhood. It let me thumb my nose at the hassles of maintaining vintage motorcycles, while still letting me appreciate that journey. That modern bike also gave me a whole new appreciate for all the character these vintage bikes had when they were, in fact, running. Owning the Street Triple R also made me a whole new kind of rider. 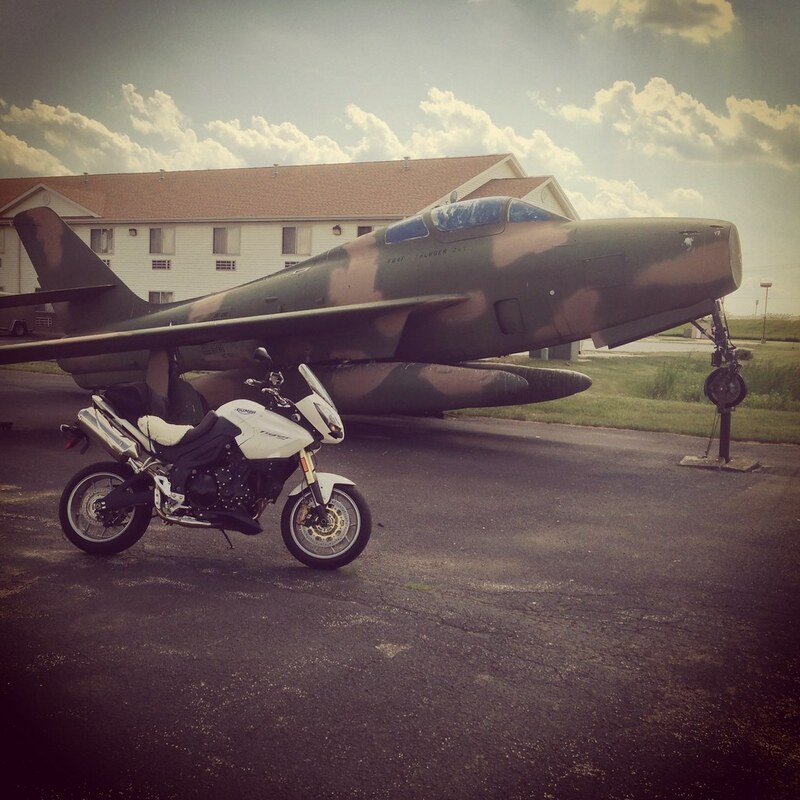 Riding a bike of such immense capability meant that I had to respect its abilities, but it also meant that I could explore more advanced riding techniques and become a better motorcycle pilot all around. Having just read Proficient Motorcycling for the first time, the Street Triple R became my test vehicle for all those techniques like smooth braking, looking where I want to go, avoiding object fixation, tracking corner vanishing points and even trail braking. The precision and feedback of this modern sport bike let me feel what the motorcycle was doing as I zipped around town. More than any other riding season, I feel like I really expanded my riding skill in 2013 thanks in a big way to that brilliant little Triumph sport bike. Riding the Street Triple R and experiencing its amazing capabilities also changed my perspective on vintage vs. modern motorcycles. In my mind, modern motorcycles were lacking in character, even if they did excel in performance or reliability. What I realized was that there was plenty of character to be found in modern bikes, I just had to be riding the right one. The nature of that character is also very different. Where a vintage motorcycle’s character is drawn mostly from its rough edges — from the way in which it almost does things badly by modern standards — a modern bike’s character came in terms of feel, feedback and power band. For all its precision, there was nothing clinical about the Street Triple R, and everything about how the bike rode was entertaining. Yet there was one thing more than any other that kept the Street Triple R squarely my wife’s bike: its size. I was sold on the idea of a modern bike, but it was time for me to find something right for me specifically — something I could ride for more than just an hour at a time. The Street Triple R was spectacular as a city bike. Being so light, so compact, so nimble and so fast meant that darting around town was effortless and thrilling. With that bike remaining in the fleet, my thoughts turned to distance when I started considering a modern bike for myself. Something in the sport touring category, in particular. 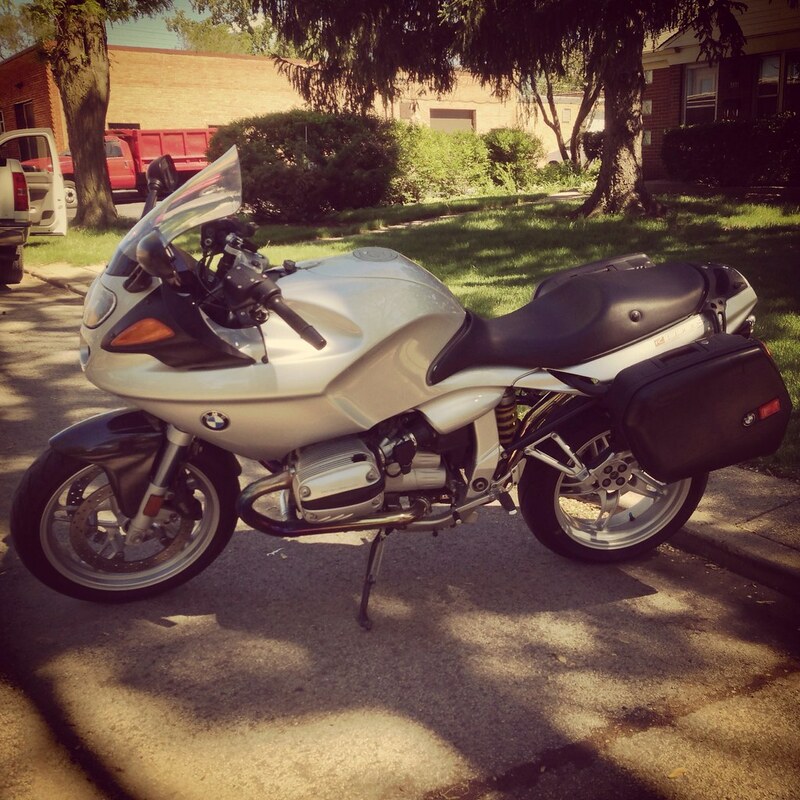 I started searching Craigslist for second-hand BMW R 1100/1200 RTs, Rs and GSs. I figured that as Motorrad editor for BimmerFile, BMW seemed like a good place to start. I looked at a number of different machines, but couldn’t quite find the right mix of miles, price and ergonomics. It was in the midst of this BMW search that I remembered the Triumph Tiger 1050. When I first started looking into motorcycles as a scooter rider in 2008, the Tiger 1050 was a bike that I connected with immediately for one key reason: ergonomics. 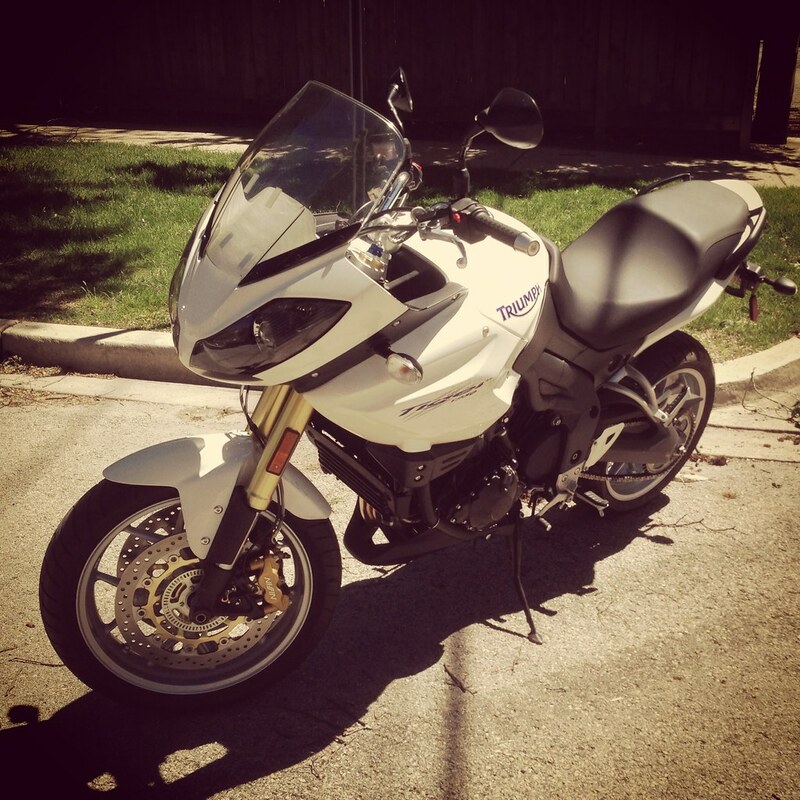 To this day, I’ve not sat on a motorcycle that’s a better ergonomic fit for me than the Triumph Tiger 1050. It’s a slightly tall bike, with a perfectly shaped seat and handlebars that fall right where they should. In 2013, I realized that while a new Tiger 1050 had been out of my reach five years ago, a used Tiger 1050 was likely something I could make happen today. Goodbye BMW, it’s time to focus on the bike I should have been looking for from the get go. Some searching found a handful of local examples. The bike I landed on was a 2010 Tiger 1050 ABS that, because of some superficial damage to its body panels, was up for sale at nearly half its book value. At just 2,400 miles, this white Tiger was the right bike at the right time. There was a moment during the test ride when I knew I’d made the right choice. Riding the bike around its neighborhood there in Evanston, I rode over one of the all too frequent speed humps found in that part of the Chicago area. Yet unlike every other bike I own, upon coming down the other side of that speed hump, the rear suspension didn’t bottom out. It simply caught me and the bike and cushioned our return to flat road. I was sold right then and there. Prepared by the Street Triple R, the Tiger 1050 was the me-sized modern bike I’d been waiting for. I brought the Tiger home and started saving my pennies to outfit it with proper touring luggage. Unfortunately, with the Tiger in the mix, our fleet was starting to get out of hand. We were up to seven bikes. Eight if I counted the barn-found Honda Trail 70 stashed in the corner of my garage. Sure, I had bikes to ride and bikes to tinker with, but with this new mix if bikes came a natural selection of sorts. Basically, only the Tiger, the CB450 and the Elite were getting regularly ridden. 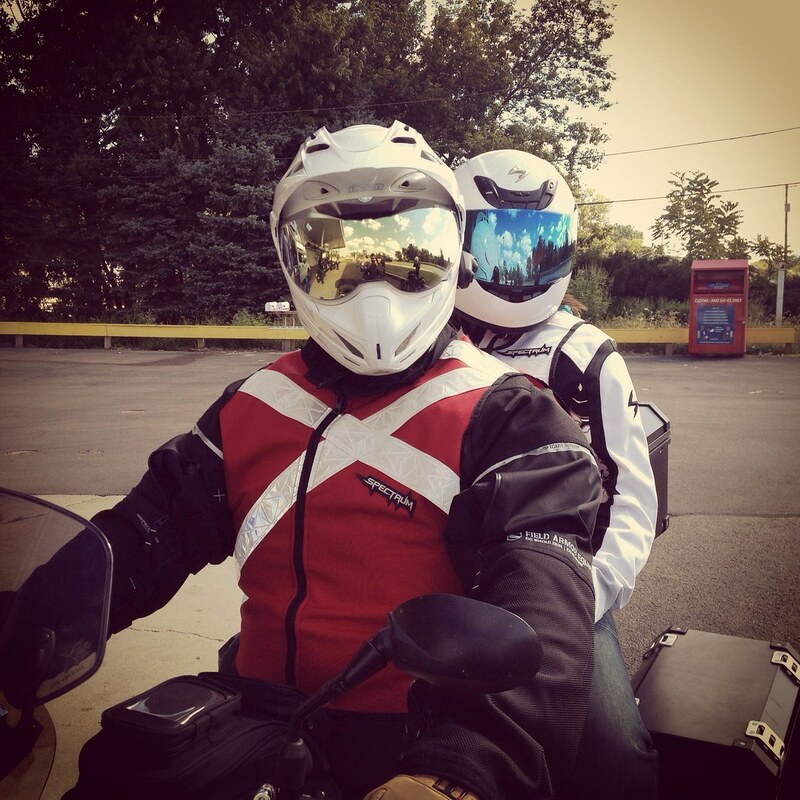 Despite the Street Triple R’s modern capabilities, The Mrs simply had other interests and her appreciation for riding motorcycles was mostly outweighed by the hassle of fighting one’s way out of Chicago before having a chance to actually ride. 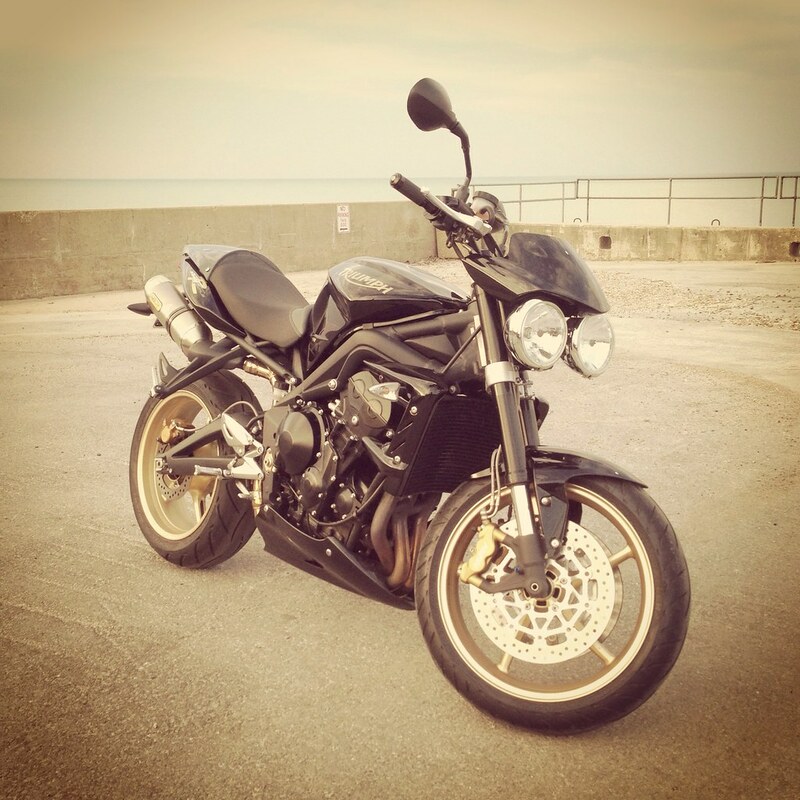 I had the Tiger now as my fast, modern bike, so the Street Triple R was a bit redundant for just me to use it. It was also expensive, relatively speaking. Not expensive in the grand scheme of things but far too valuable for how little it was being used. More pressing, however, was that parking space had become far more scarce. We’d moved from Evanston down into Chicago proper and the neighborhood of West Town. I went from having a two car garage and basement workshop to one slot of a two car garage. We were renting a storage unit around the corner simply to park three of our motorcycles. Something had to give. The final fleet shake up for the year came in early October. It was time to thin the herd down to a group of bikes we’d actually use, truly wanted to have around, and had room to board. With The Mrs’ interest in riding now very casual, both of her bikes — the Honda CM400 and the Triumph Street Triple R — were on the chopping block. Yet we did want there to still be something she could ride when the mood struck. The Elite was too small for anything adventurous. The Tiger is too tall for her. The GL is too heavy and too vintage to interest her, and the CB450 is far too much of a mechanic’s bike. We figured out that we wanted to find something that could serve as a go-to all around bike for her (modern and approachable) and also serve as a go-to city bike for me so that it wouldn’t just sit idle. I’d been riding the CB450 back and forth to work, which had been super fun, but that’s a poor use of such a special machine. 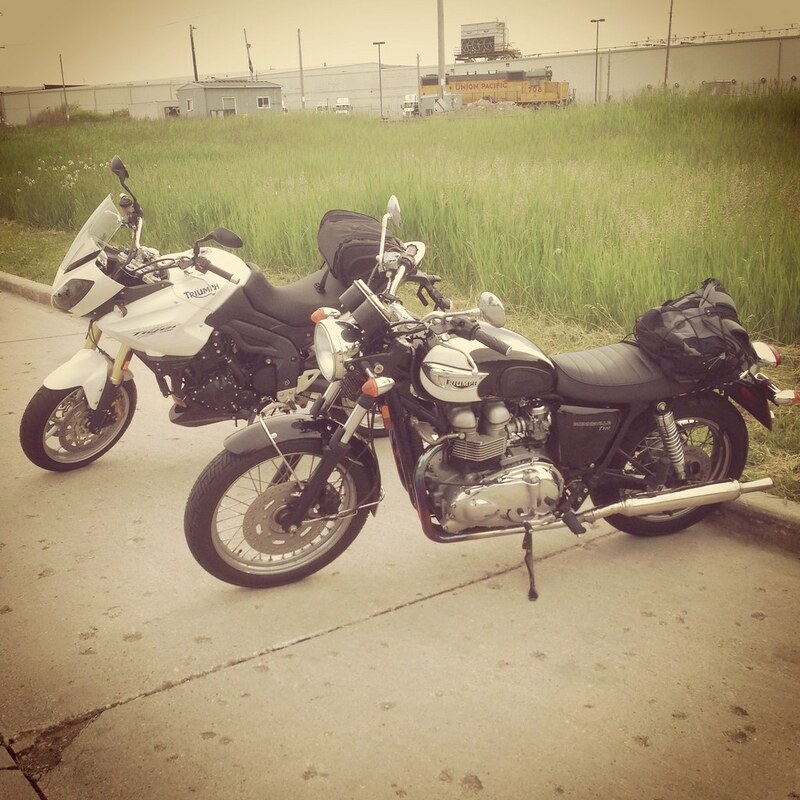 The verdict: A 2013 Triumph Bonneville 900. 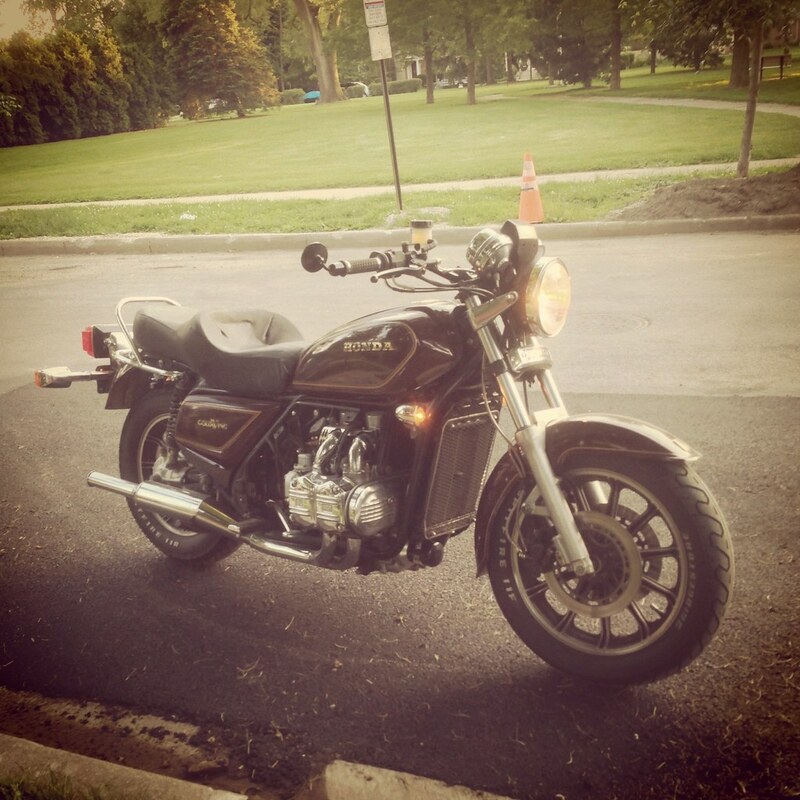 The Bonneville is the motorcycle that had originally gotten me into motorcycles. It was the first proper moto I’d ever test ridden too. It’s hilarious in retrospect how big and overwhelming that 2008 Bonneville felt at the time. Having now ridden much larger, much more powerful motorcycles for several years, the Bonneville all but feels like a scooter. It’s essentially the same size and weight as my CB450, but with modern brakes, modern suspension, fuel injection and an additional 20 horsepower or so. Yet the Bonneville still has classic looks. 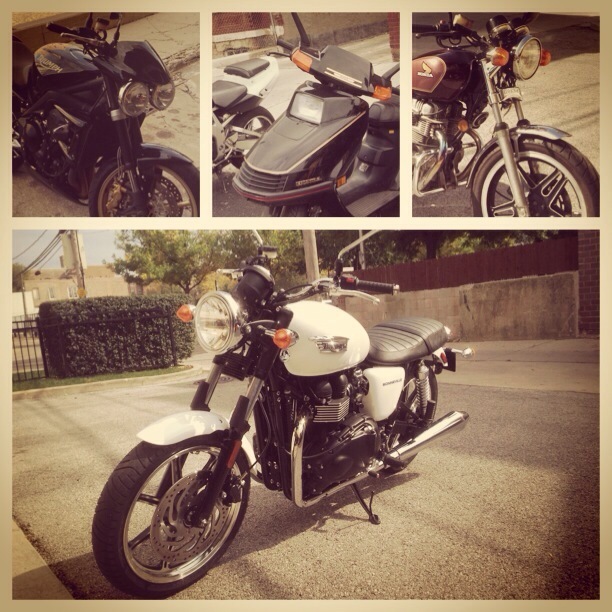 We picked up a white 2013 Triumph Bonneville standard from Motoworks Chicago. Best part was that not only did they make me an excellent trade-in deal on the Street Triple R, they also took the CM400 and the Elite 250 in on trade as well. 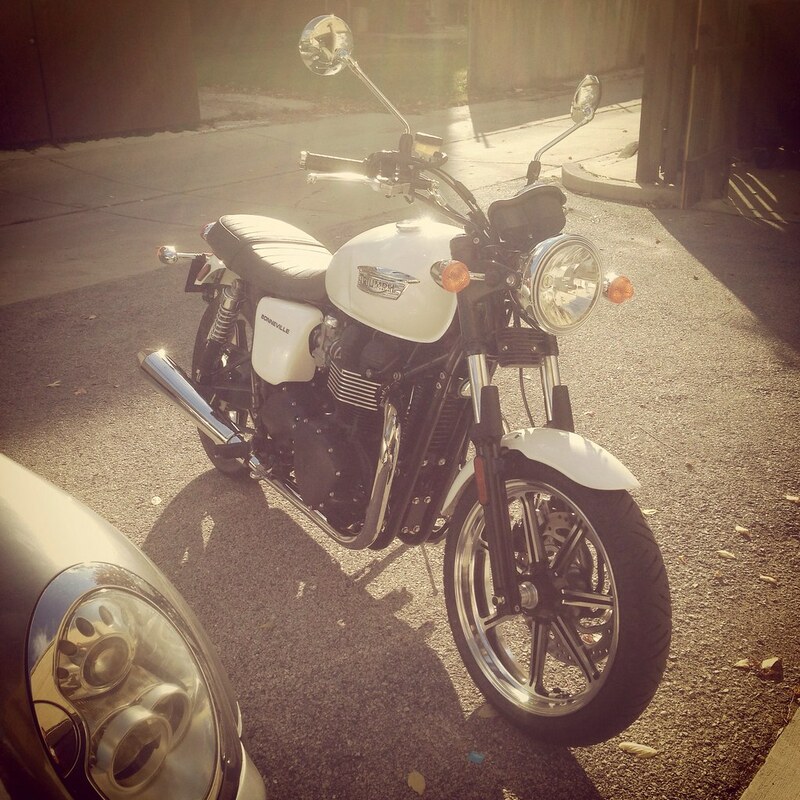 This made the Bonneville very affordable and did me the favor of getting two more bikes out of my hair before winter. Sure, the thrifty might protest that I lost money on all three bikes by trading them in instead of selling them privately. That’s true in one sense, but not in another. Sure, in private sales I could have gotten more money for all three bikes. Yet likely not until Spring, which would mean storing those bikes for the next six months or so before they’d fetch the price I’d want. In storage fees alone, that’d be nearly $1,200. Additionally, by trading in these bikes on the new one, I was able to wipe out nearly $2,000 worth of new vehicle taxes I would have otherwise owed the state of Illinois. On balance, I think I actually came out ahead on this deal. I also had a great experience working with Motoworks Chicago, and really appreciated their flexibility and willingness to do a bit of unconventional wheeling an dealing. Taking the Bonneville home was extremely fun. 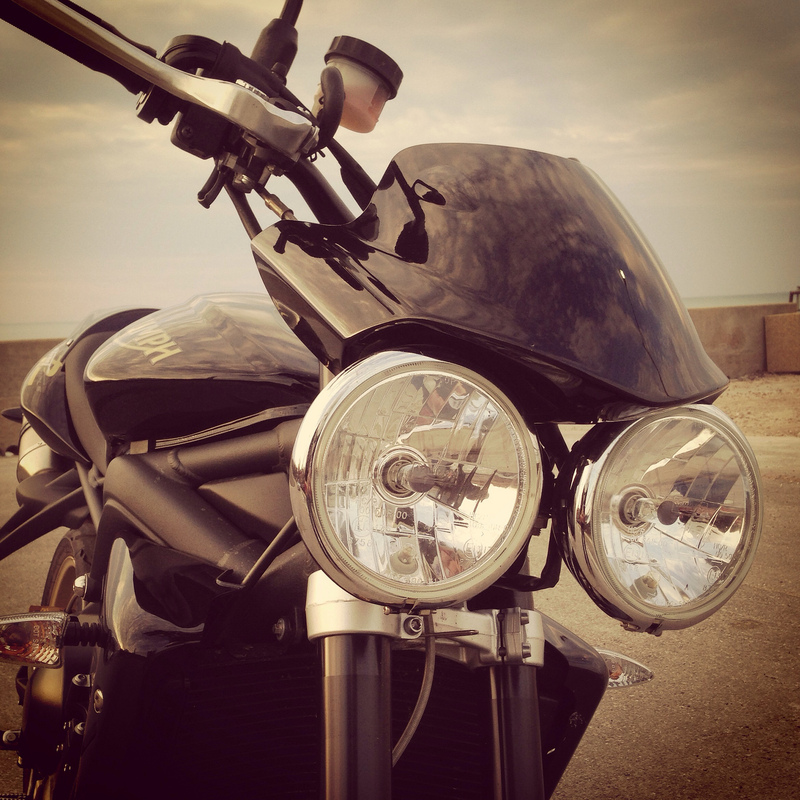 It’s the standard model, as opposed to the T100, Thruxton or Scrambler. With its lighter, smaller mag wheels, wider tires and more upright rake, the standard Bonneville (and the SE) have a nimble, eager feel to them that perfectly suits them to city riding. Truth be told, I kind of prefer the old-fashioned feel of the T100, but the standard Bonneville is a much better fit for all the things I’ll end up asking it to do. In particular, it did a brilliant job hauling me back and forth to the office. That is, until it simply got too cold and snowy to keep riding. In so many ways, that Bonneville has been the cherry on top of all the changes to the fleet this year. It’s the perfect all-rounder and in due time, it’ll get a slew of customizations to make it that little bit better, and that much more uniquely ours. In the long haul, the GL will go on sale once I’m done with it as a project. It’s my foray into custom bike building and thanks to some other developments this year, I now have even grander plans for its transformation. Stay tuned for that. That BMW R 100 is a bit of a wild card. It’ll be another custom project, but I’m not exactly sure what I’ll do with it just yet. I’m leaning toward sort of a big cafe/brat bike. We’ll see. Bringing modern bikes into the mix this year really changed how I ride, and the kinds of routes I choose. There were several memorable night laps of the city on the Street Triple R. From cruising Lake Shore Drive to blasting up I-90, those city runs were just what I needed on a cool summer evening. There was the Genuine Scooter Company owner appreciation ride, which was especially fun because it meant riding with some great local scooter people and some national scooter community notables. Specifically, Genuine founder, former Evanston neighbor and head scooter dork Phil McCaleb; Detroit-area scooter journalist Ron Arnold; plus Modern Buddy founder and ScooterFile collaborator Eric Almendral. It was terrific to have everybody in town for a ride. I also met Philip’s buddy Charlie that day, who’s another good ol’ scooter dork. 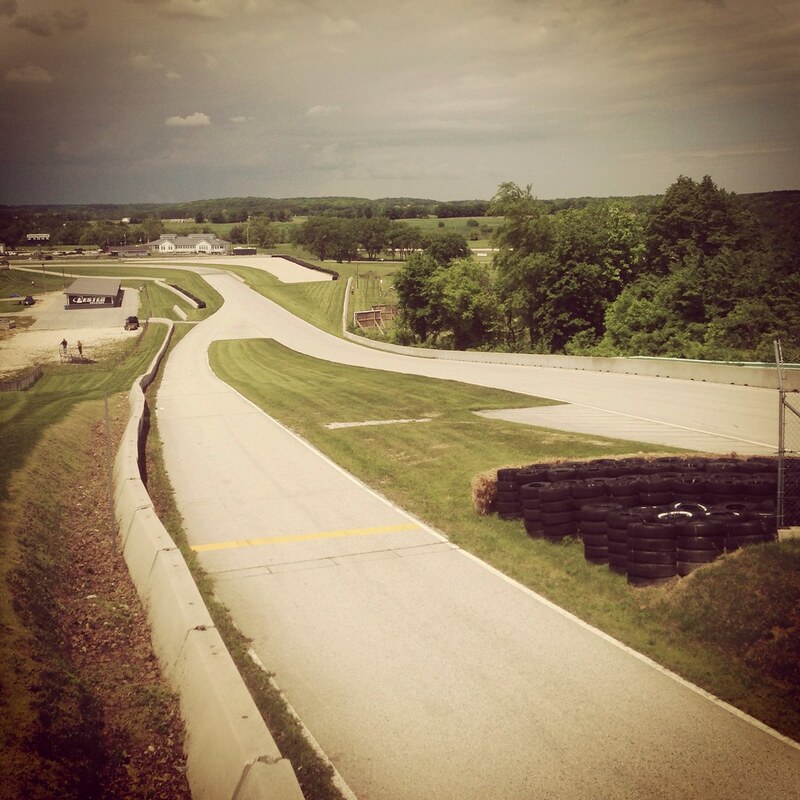 I returned to the AHRMA Vintage Motorcycle Races at Road America again this summer with Bree as wingman. It was a good opportunity to run into the boys from Blue Cat Motorcycle, as well as some great racing action. More than anything, it was nice to get out of the press of Chicago and out into the countryside for a while. This trip also served as my first real, if small, road trip on the Tiger. As expected, the bike was utterly flawless. One particularly memorable ride out to Savannah, IL also stood out for me. 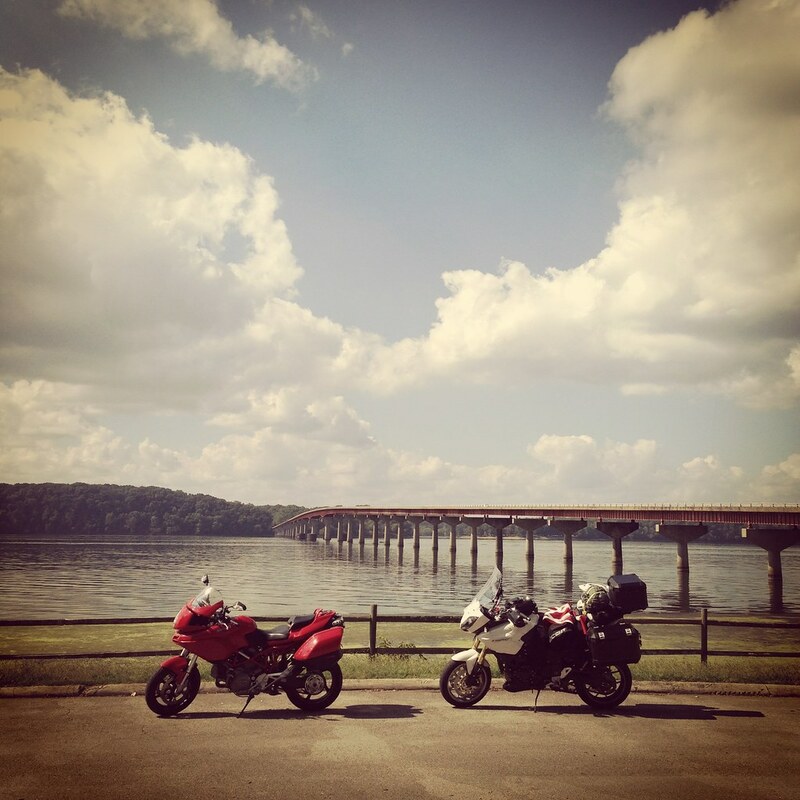 Fellow moto obsessive, Juan — who’s well known on this blog for his exceptional photos of my CB450 — organized a ride from Chicago to Savannah, IL right on the border with Iowa. The roads were scenic and open, which for all of us was a much needed change from the clutter of riding in Chicago. Yet just as memorable on the ride was the company and the bike-related hijinks that ensued. In addition to Juan on his Ducati Multistrada, we had my go-to moto wingman Bree on his Bonneville T100, and a whole crop of people who were new to our little group of riders. There was Ken, who works with Juan and The Mrs in downtown Chicago. He was riding his Ducati Monster. Juan had also recruited Jen on her diminutive CB175, and a couple other chaps whose names have escaped me, but I do remember their Yamaha FZ9 and BMW S 1000 RR. Also along was notable Chicago-area custom bike builder Dave Mucci and his BikeEXIF-featured Honda CX500. 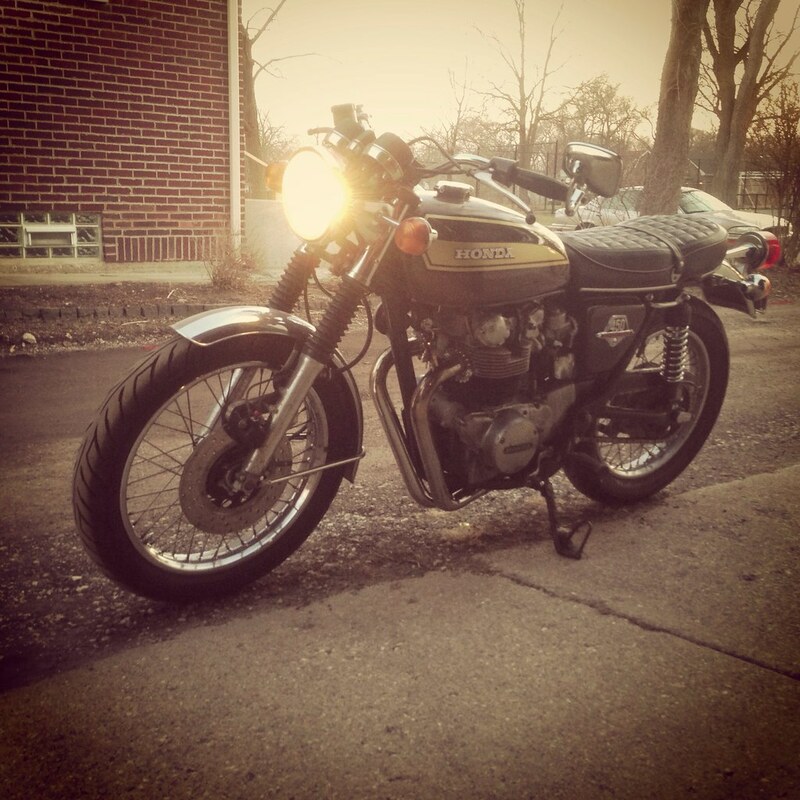 Dave had also brought his roommate Jonathan on his early ’80s Kawasaki KZ750. The Mrs even came along with me on the Tiger as pillion. She was going to ride her CM400, but it sort of broke down on the way to breakfast. Thankfully the Tiger has plenty of room for two. There was a good little gaggle of bikes. A full day of riding saw some great roads, great scenery but a couple of snags. Jen blew up her CB175 at what my Tiger said was 74 mph. Jonathan broke the negative battery wire, which had to be improvised to get him back on the road. Thankfully, I had tools with me. All in all, it was a really fun day and the cross section of people I regularly hung out with shifted to include several people I met that day. Most memorable of all was the 1,800 mile round trip that Juan and I took to Birmingham, AL for the Barber Vintage Motorcycle festival. That’s a trip worthy of its own post, but in short, buying that Tiger 1050 was one of the best motorcycle decisions I’ve ever made. Also worth noting is what a damn fine wingman Juan can be, especially on a long trip. 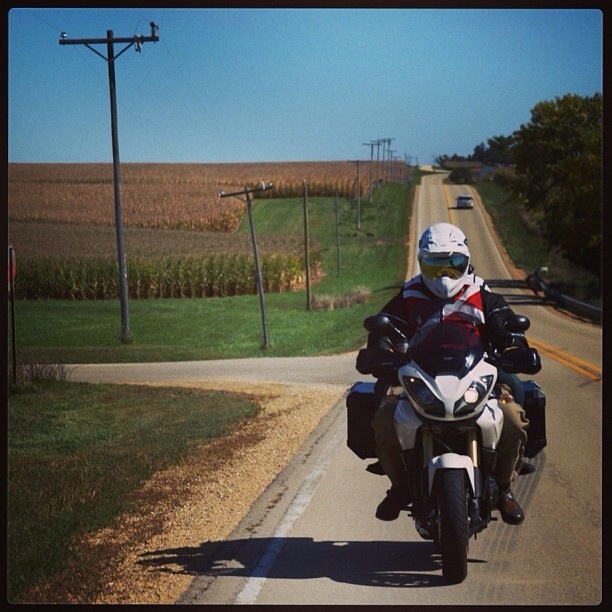 For the first season in quite a while, 2013 saw me riding motorcycles quite a bit more than working on them. I’ve come to appreciate both as separate pursuits that dovetail into each other in really good ways. Each scratches a separate itch. Each is their own form of meditation that nourishes something deep. Both are pursuits that I’ll continue to grow into and elaborate on. For the most part, working on bikes this year has been maintenance. The CB450 got it’s first 1,000 mile tune-up at my hands. That will get its own story as it was a bit of an ordeal. I dealt with oil changes and valve adjustments. I sorted out a flat tire on the CB450 at one point and put a new battery in the GL1100, which was well overdue. The most substantial work I did was actually to the Tiger. In prepping it for Barber, I added a myriad of accessories and add-ons. From heated grips, to hand guards, to a long-distance touring seat pad, to a massive three-pannier luggage setup. I got to know the Tiger pretty well mechanically. It’s a solid machine. Rounding out this year will be all the normal winterization and some more dedicated work on the GL. More on that in a moment. Looking to next year, there will of course be more maintenance. I’ve got an oil seal in the CB450 that needs changing and an oil leak on the Tiger that needs solved. As time and money allow, I’ll be making upgrades and tweaks to the Bonneville to make it my own. Yet for any of the specific works that I’m looking forward to on my bikes in 2014, what I’m looking forward to most is where that work will be happening. Perhaps the most significant bike-related undertaking I attempted this year didn’t actually have anything to do with motorcycles themselves. 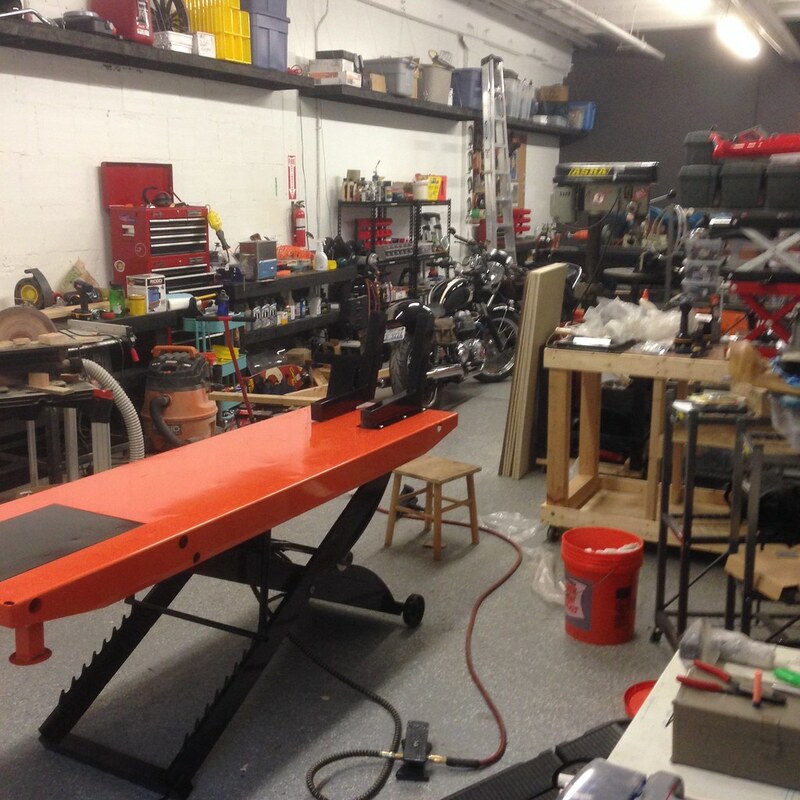 Rather, I attempted to establish a shared work space where like-minded tinkerers like me could get together, share resources, and have a place to do the kind of recreational wrench work that I so enjoy doing. It started with a simple email at work. “Who wants to help me put together a shared workspace?” I expected maybe half a dozen people to respond. Instead, I heard from nearly 30 people. Long story short, grander plans for a membership-based shared workshop eventually fizzled out. People are much more apt to sign up for an existing thing than they are to invest in the formation of something. That’s fine. I don’t blame them one bit. Yet out of that big venture’s failure, I managed to find three people who were serious about a smaller space. One was my riding buddy and coworker Bree, another was the afore-mentioned Dave Mucci, and the third was Dave’s industrial designer friend, Scott. While we each brought slightly different aspirations to the shop, what we landed on was about 1,000 sq. ft. of industrial space that we are currently outfitting for the making of things. Whether its building bikes, doing maintenance and simple bolt-on mods, or building experimental short-run furniture, the space we found has made it possible for the four of us to pursue our passions for making and building. It’s also a space where we hope to grow a community of creative people who bring their various interests and skills to bear in the projects coming out of this space. While that’ll likely be very motorcycle-oriented much of the time, it’s exciting to think that it won’t be just that. We anticipate having all manner of events in the space, besides just our ongoing tinkering. What’s more, I’m excited to work with the people we have involved. Scott will be building all manner of interesting things. Bree will be transforming his Bonneville into something uniquely his. 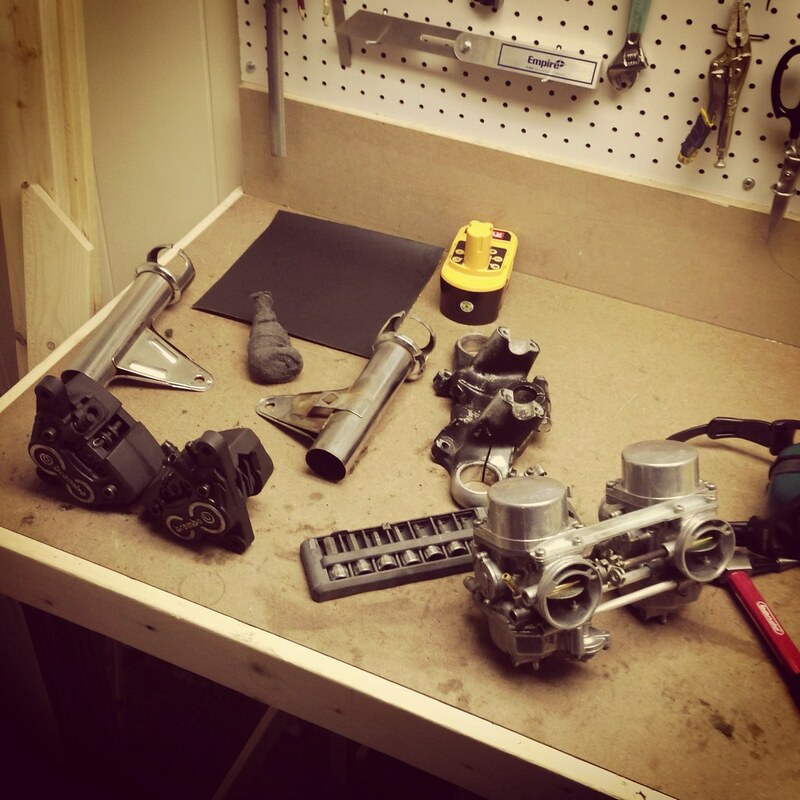 Dave is currently scrambling to complete a ground-up custom bike build in time for The One Show in February. And me, I’m going to tackle the GL once and for all. The scope of that project has grown from simple customization to full-on transformation. I’ll be going down to the frame and bringing that bike back up as something utterly unique. Just this week I even took delivery of a tool that I’ve been coveting since I first set foot in Blue Cat Motorcycle years ago: a bike lift. Between those tools, this space and these collaborators, I’m really excited to see this project come together. I’m excited to learn more about Industrial Design from Scott and Dave. I’m excited to see where Bree takes his T100. I’m also excited to see Dave’s process first hand. I’ve long been an admirer of his work, and now I get to watch his projects take shape. That alone is worth the rent. Meanwhile I’m finally getting set up for the kind of bike work I’ve wanted to do for years. Once our build-out is complete, there will be no excuses. It’s full throttle toward finishing the GL. Then the next bike. Then the next bike. So as Season Seven of my two-wheeled life draws to a close, it’s been a hell of a year. As I look back on what happened, my only real regret is that I haven’t made writing about these experiences a priority as I have them. It’s a good kind of busy when there’s so much going on that I kind of don’t have time to stop and capture it. Yet that’s a bit of a cop out. It’s all about priorities. I often catch myself thinking I don’t have time to write for myself, given all the other venues like MotoringFile, BimmerFile and ScooterFile where I write daily. Truth is though, I still watch a lot of TV. Sure, it’s great TV, but still. It’s not like I’m truly hurting for time. In the end, I’m usually in a deficit of mental energy that keeps me from writing more. That’s something I want to figure out how to overcome. Capturing these experiences is important because these experiences themselves are actually pretty great. Sharing them helps me appreciate that all the more. 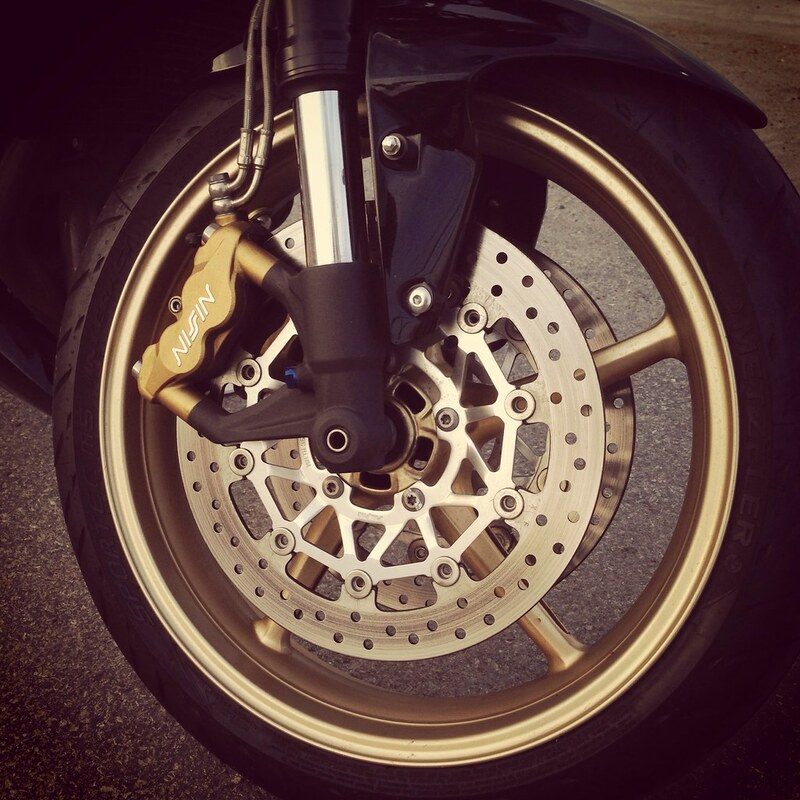 It also helps drive me forward to have new experiences in the world of motorcycles. As I think about what’s already shaping up for 2014, I can’t help but be really, really excited. 2013 is also the year I started using Instagram …for everything. Stumbled across your site when looking for reference in aligning the timing in my oldest son’s ’74 CB450. It was the article you wrote before you realized your engine needed a total rebuild… I ended up reading a good portion of your blog and realized that you work in the same building I just moved into this February. While I live fairly out in the burbs, I’m wondering where you park your bikes when you ride them to the mart? My current commute via metra is ~1 1/2 hours, I’ve given thought of making the ride all the way, instead of just to the local train station on my ’74 RD250. We should meet up for lunch, I’ve found a great BBQ place just across the river. Thanks for reaching out. I’ll send you an email. Let’s definitely connect.